The latest data and analysis from The Nottingham Building Society has shown that first-time buyers in Scotland and the East Midlands are the most likely to make their first step on to the property ladder alone. According to the report, 32% of prospective first-time buyers believe they will be able to buy on their own. 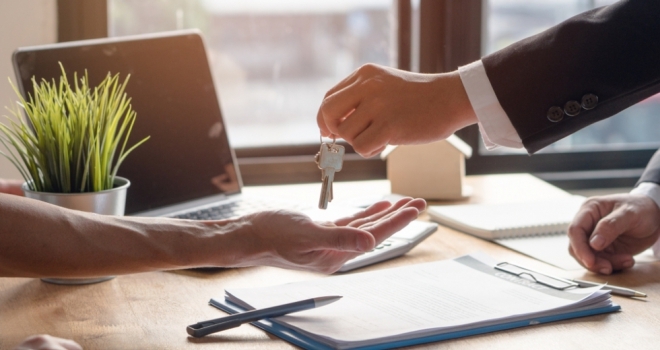 In Scotland would-be buyers are most confident to go it alone with 45% willing to buy on their own, while in the East Midlands 41% believe they can move into their first home alone, the research shows. That contrasts with the rest of the country where 58% will be buying as part of a couple and 9% will be buying their first home with friends or family. Men are more likely to be buying with friends or family than women – 10% of male first-timers expect to move in with friends and family compared with 6% of women. Research shows the numbers of first-time buyers are rising but The Nottingham’s study shows worries about Brexit could hit the recovery – 43% of would-be first-time buyers questioned said they have delayed because of concerns about the impact on house prices. The Nottingham’s research also shows the average first-time buyer expects to spend nearly £211,500 on average for their property and to raise a deposit of £44,000. They believe the deposit they need will be equivalent to 64% of their combined annual salary. The Nottingham is supporting first-time buyers by providing free access to Nottingham Mortgage Services, that searches more than 50 lenders for the right deal to savers using its Lifetime ISA. This usually costs £249. Ben Osgood, Senior Manager for Nottingham Mortgage Services, part of The Nottingham, commented: “For most, buying as a pair is a result of taking that next step with your partner. However, considering the high deposits needed and the house prices buyers face, for some going halves is the only option to get on the ladder, so it’s a positive trend to see so many with the financial ability to go it alone. Everybody’s circumstances are different and getting advice on whether your deposit is enough, what loan-to-value you need and which mortgage best suits your needs, can make all the difference to first-time buyers. Not only does it lead to a greater understanding of your options but also peace of mind you have the right product.